Kdramas under KOCOWA used to be exclusive for usually a month. Well, that month has turned into a year. At least you could use a VPN with the Passes that are available worldwide once that period of time was over. The only "option" right now is to make payments over an unverified connection, which is a big No-No. The first two actually. The rest of the episodes are only available to U.S. viewers with a Plus Pass. If you are going to change (read mostly remove ) access to language options, new episodes of shows (such as this years episodes becoming available a year from now) for standard pass, then please give enough advance notice to your subscribers. It seems you guys have a tendency of just making the changes abruptly without any advance notice. And most of the changes tend to remove privileges/ services rather than add them. 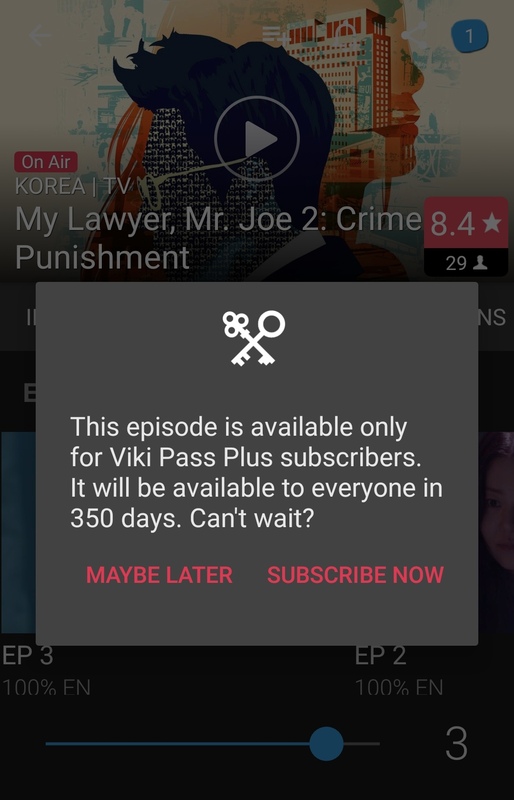 If I have paid for a standard pass and episodes of a certain drama and show were available every week or a language when I paid for my annual subscription, then you removing such access during the duration of my paid subscription is not right because you are removing services that I have paid for already. So either return a portion of the subscription charge to all who are affected negatively by such changes or give advance notice and justification or wait until subscription has expired to make changes. Your cancelation policy does not return money that has been charged for the whole year even if we cancel our subscription (which I find is becoming more and more useless) midway through the year, so when you remove services and advantages from my subscribed pass during the year, I think it is equivalent to a scam. Do you think other streaming services like Netflix would get away if they did such a thing? It is really off-putting and needless to say chances of renewing subscription are nil. I know you are really trying to push the Plus Pass but all subscribers have the right to be notified when you make changes to your subscriptions and if you remove access to something, make sure it is not a service you have already charged the client in advance. Yes, I agree, of course. The whole concept of KOCOWA is terrible. Fortunately, it only applies to Korean dramas. From what I can gather, Chinese dramas are much more popular and accessible. The language restriction might be a bug, though. This needs to be reported. From what I can gather, Chinese dramas are much more popular and accessible. WHAT? Much more popular? You must be joking. Viki has been focusing on Chinese dramas not because they have such a great fanbase (they do, of course but it's not the majority by far) but only because they cannot get their hands on many of the hot Korean ones, and it has to compensate somehow. With Chinese dramas, with MANY Korean reality shows, with Korean films and even with some Japanese content in the past few months. Hi adrianmorales, Thank you for your reply. Even if programs from other countries are not restricted, the fact that at least a portion of the programs are is the point. It is a matter of principle! I hope you understand the point I am trying to make. 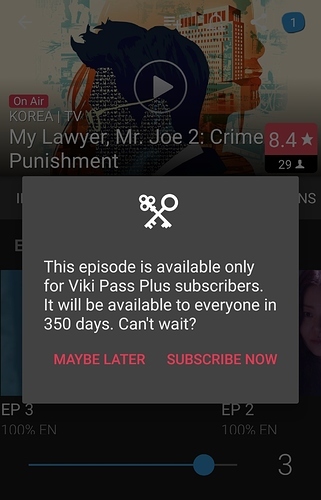 Had I know VIKi would pull such a trick, I would not have signed up or paid for a whole year in advance which I learn is basically nonrefundable! Of course I understand! I want everyone to have a fair and enjoyable experience on Viki. You'll discover my posts to be a bit on the "revolutionary" side, but only because I genuinely care about the service and those who work to make it happen, from volunteers to subscribers. My posts to bring Kocowa and Kdramas to European shores never get the views or replies of those focused on Chinese content. That might be as well, because there are so many languages used in Europe and the licenses in Europe are not unitary. Not everyone is able to communicate in English. So much for the European Community. They can't even get Korean dramas right.